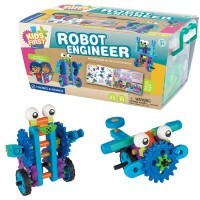 Let your preschool kids create, experiment, invent, build, and learn STEM principles with 3 fun and engaging toys! 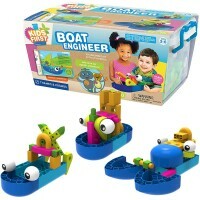 Introduce STEM concepts early for children by turning learning into play! 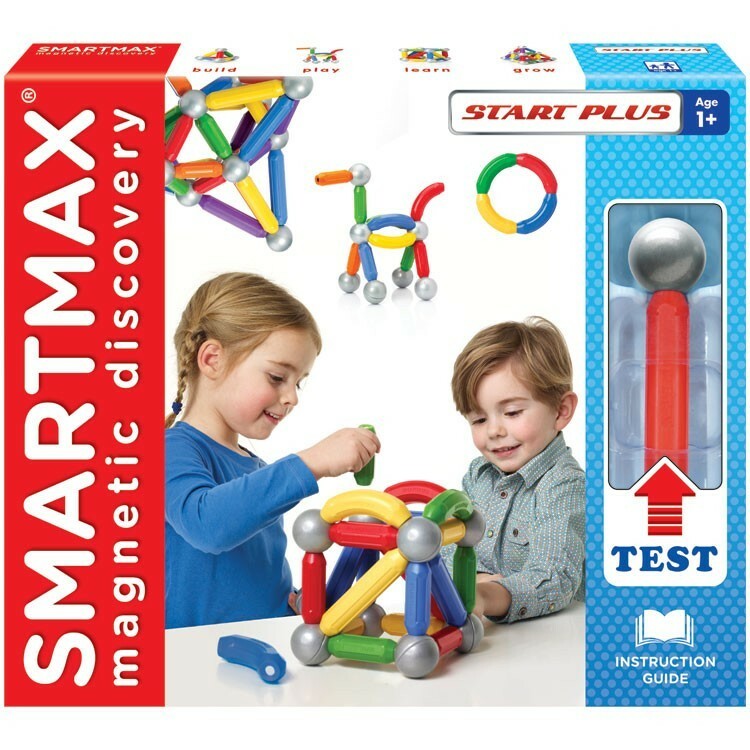 Educational Toys Planet's expert team believes that kids can find that learning Science, Technology, Engineering and Math (STEM) is really fun when you create the right learning environment for them. 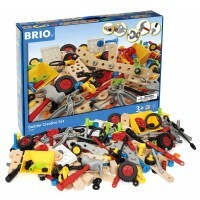 Our hand-picked STEM Preschool Activity Early Learning Kit will help your child understand principles of mechanics, spatial reasoning and engineering ideas even without him knowing it. 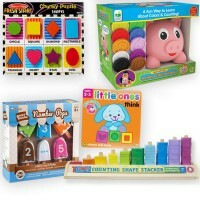 Kids will be building with these bestselling colorful toys, inventing their own structures, identifying new and known shapes, counting and matching, and using their brains for sure! 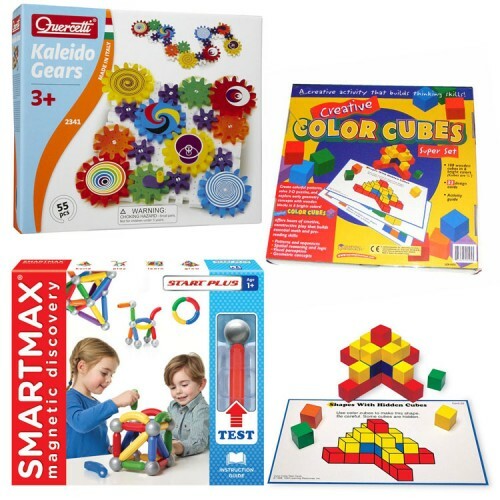 The STEM learning bundle includes 3 popular playthings from the award-winning manufacturers: top selling Quercetti Georello Kaleido Gears Set, Creative Color Cubes Spatial Thinking Learning Activity Set from Learning Resources, and Smartmax Start + 36 pc Magnetic Building Set. 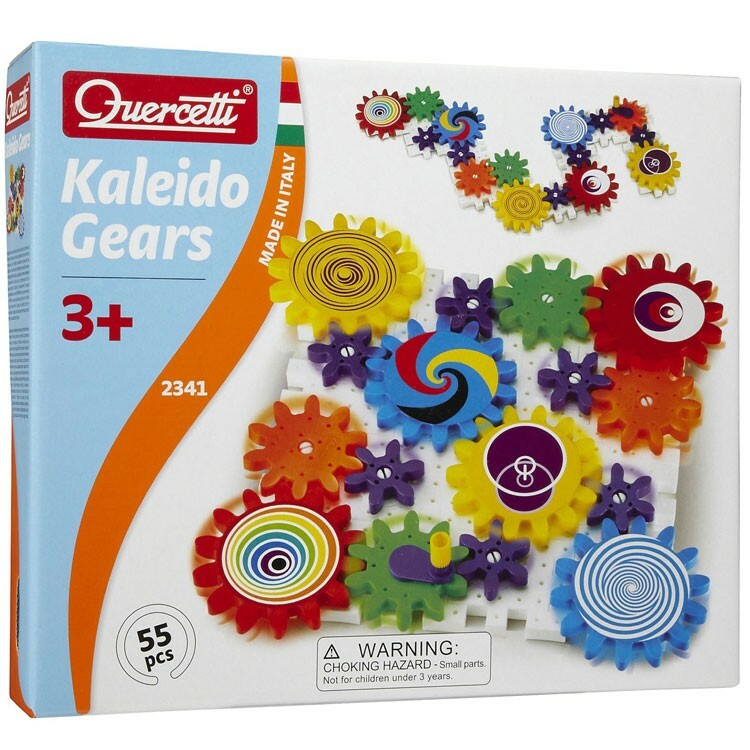 Bring the intrigue of a kaleidoscope to life and create a creeping, climbing, winding gear wonderland with the top rated Quercetti Georello Kaleido Gears! 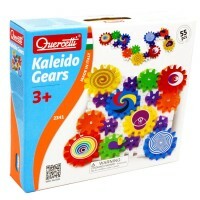 Made in Italy with Quercetti's famous quality, Kaleido Gears set brings the intrigue of a kaleidoscope to life. 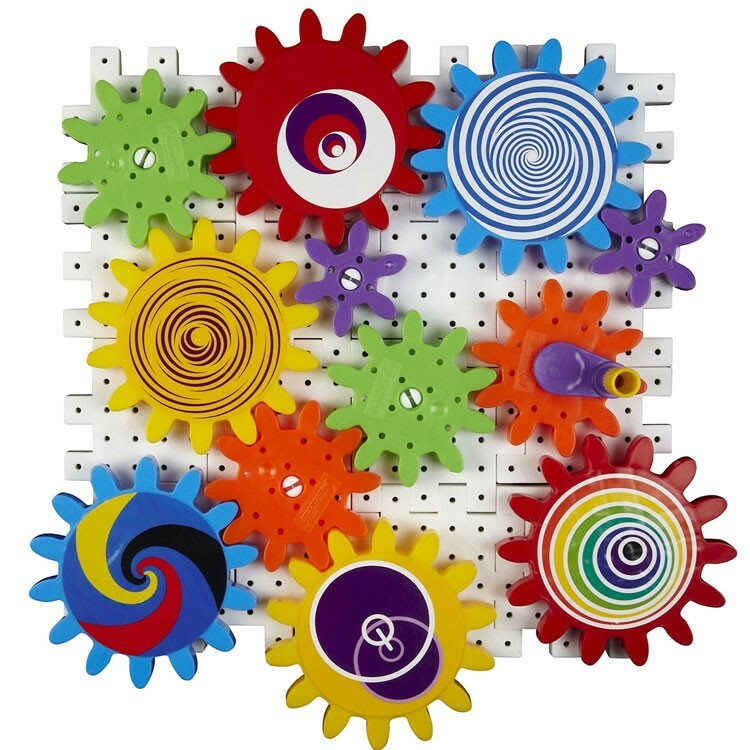 This top-rated 55 pieces construction toy lets your preschool builder create a creeping, climbing, winding gear wonderland. 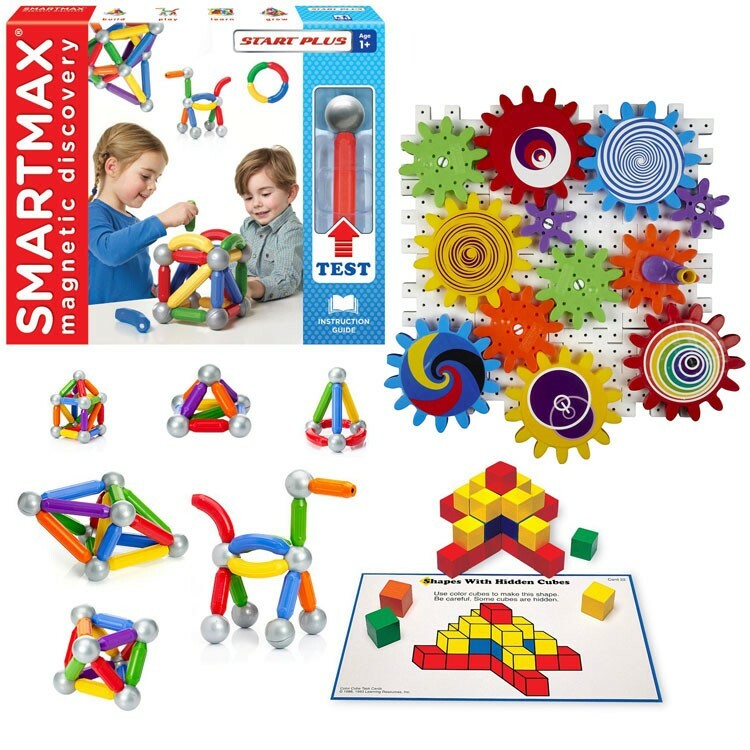 The Smartmax building set features 36 colorful jumbo magnetic pieces that can turn into geometric shapes, whimsical creatures, cool structures or anything your child can imagine. 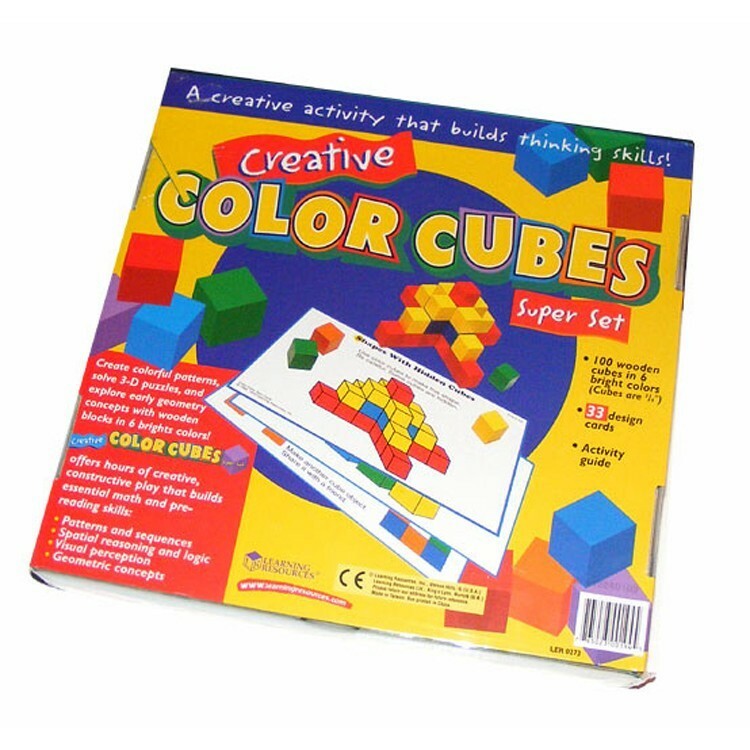 The creative cubes math activity set comes complete with 100 wooden color cubes and 18 project cards. 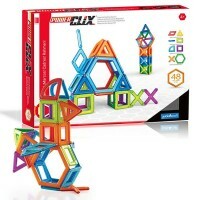 With this spatial thinking toy kids will have educational fun matching the cubes to the 3D patterns and designs presented on the activity cards. 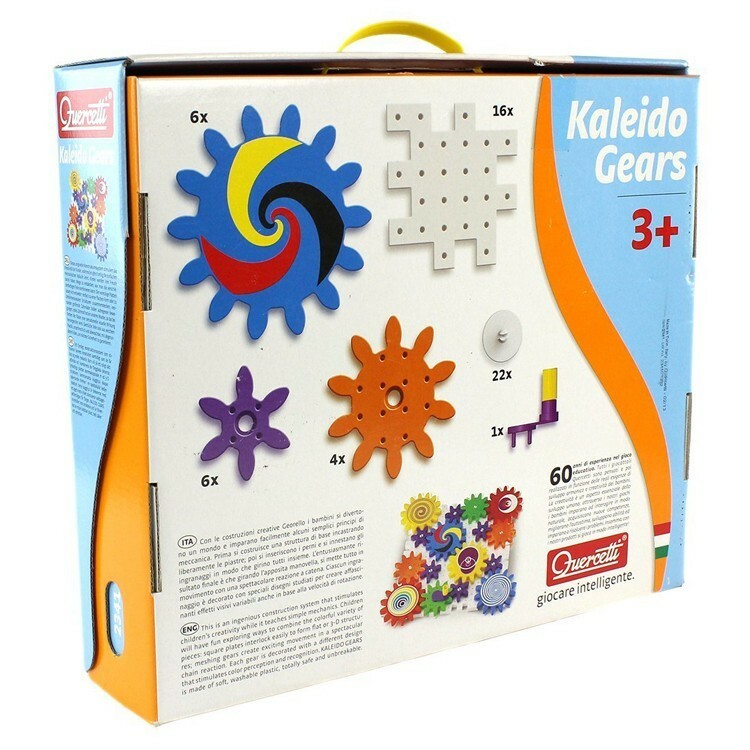 Let your preschool kids create, experiment, invent, build, and learn STEM principles with 3 fun and engaging toys! 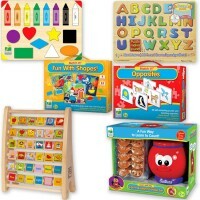 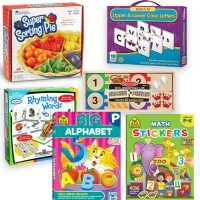 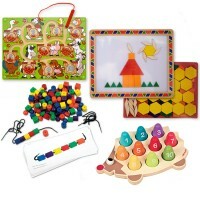 Dimensions of package 0.18" x 0.14" x 0.08"
Write your own review of STEM Preschool Activity Early Learning Kit.